The Sonoma Valley Vintners & Growers Alliance (SVVGA) comprises hundreds of member wineries and grape growers as well as associate members who work together to promote awareness of the Sonoma Valley and its extraordinary wines and grapes, its incomparable climate, and its richly diverse terrain and terroir. 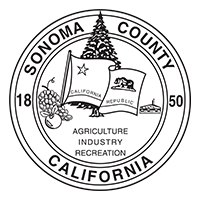 The organization was formed in 1992 by merging the Sonoma Valley Vintners Association and the Sonoma Valley Grape Growers Association. Because it is a collaboration of vintners and growers, it is a unique organization that shares a mission to promote Sonoma Valley wines and grapes, support cooperation and collaboration among Valley vintners and growers, and develop community awareness of the industry and its contributions to the unique lifestyle in Sonoma Valley.